In 2000, while signed to Zebra Records, Eric Essix decided to explore the soul, R&B, gospel and country music that he grew up listening to in his home state of Alabama. It was the start of a musical journey that began with Southbound followed by Somewhere In Alabama and Birmingham on his own Essential Recordings label. Now, teamed with Birmingham jazz pianist and producer, Ray Reach, Eric offers a return to his roots, in the straight-ahead jazz tradition of his idol, Wes Montgomery, titled Superblue – Eric Essix and the Night Flight Big Band. The Night Flight Big Band is a powerhouse ensemble that has appeared at Ona”s Music Room in Birmingham, Alabama on most every 1st and 3rd wednesday night for the past 6 years. In this period of time, the Night Flight Big Band has played host to numerous guest artists, including saxophonist Lou Marini Jr, vibraphonist Chuck Redd, and trombonist Wycliffe Gordon. Mart Avant, the founder and director of the Night Flight Big Band, is also a founding member and primary contractor for The Tuscaloosa Horns, one of the nation”s finest horn sections. For more information read the liner notes at CDBaby, where the album is now released. 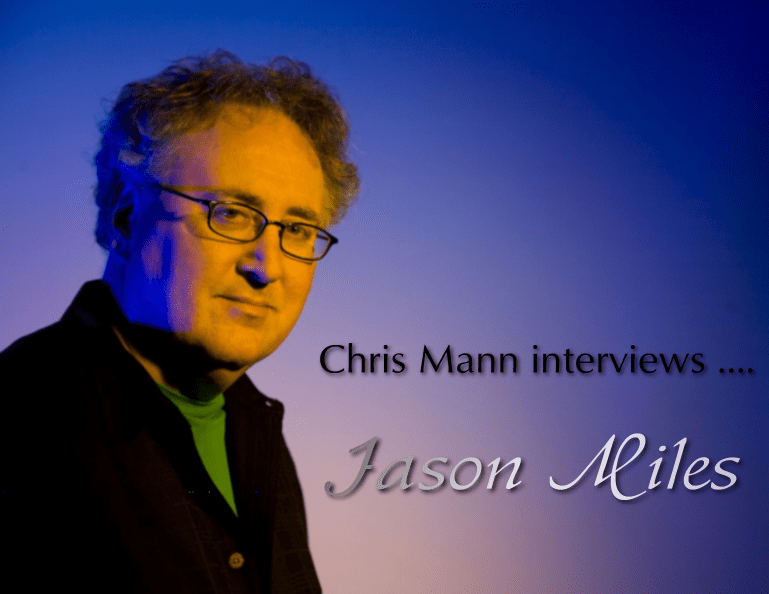 CM Jason, I’ve seen the interviews on your website and I ‘d like to use one of your questions: When did you know that Music would be your life’s work? JM In college. Living in New York, I got to hear great artists in the clubs there. They had great songs and great melodies. CM What motivated your decision to produce a second tribute album to Grover Washington Jr, 2 Grover With Love? His affinity for Ibanez guitars is clearly listenable on his sophomore album Around (Again) (2009). Produced by Eric Copeland for Creative Soul Jazz Drew’s new album offers besides session players like Dan Needham (drums), Gary Lunn (bass), Tony Morra (drums), Dave Krug (sax) and John Hammond (drums) guest musicians like Gerald Veasley (bass) and Jay Rowe (piano). A great part of the album was performed by Eric Copeland (keys, vocals, programming). With mellow tones introduces Drew into his new project. Guitar, keyboard and piano form on Bounce a perfect sound. Drew and Eric compete for the ultimate song. Munich is one of Germany’s most popular cities. The town offers a wide range of seasonal and other events beside its attractions in buildings, history, architecture, arts and shopping opportunities. So it was a properly thought-out decision to let the 2nd German Smooth Jazz Festival 2009 take place in the capital city of Bavaria. The festival was organized in a former power station called Kesselhaus. The designers of the location attached importance to the illumination of the technical items giving the place a special atmospheric flair. The festival opened at Friday, the 4th September with Canadian Smooth Jazz star Steve Oliver. He was performing songs of his album One Night Live, which is a combination of a CD and a DVD, recorded during a concert at the State Theater, Modesto, CA. On this festival he played Chips and Salsa, Fearless, First View, Good To Go, High Noon, Magic World, Radiant Dream and Show Your Love. 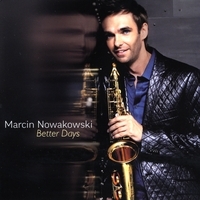 Polish sax player Marcin Nowakowski made his debut in the smooth jazz genre with his album Smooth Night (2005). As experienced sideman and performer in the Polish jazz scene he already garnered a certain popularity in the local community of Warsaw. He also performed with Jose Carreras, Paul Jackson, Jr., Simon Philips, and David Knopfer among others. Now he prepares himself for the great jump over the ocean to the U.S. smooth jazz scene. A pave stone to this aim is his new album Better Days (2009), which was produced by Jeff Lorber. 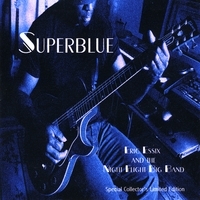 While his debut album was recorded with Polish musicians Marcin now engaged for his sophomore album the finest musicians of the American contemporary jazz scene: Jeff Lorber (keyboards), Paul Jackson Jr. (guitars), Alex Al (bass), Tony Moore (drums), Lenny Castro (percussion) and many more. Wake Up is Marcin’s first call. Supported by the above mentioned top-notch cats Marcin presents his impressive sax melody. Shanice’s megahit I Love Your Smile (1991) is certainly a welcomed original for covers, not only because of its great melody but also because the song features a saxophone solo by Branford Marsalis and his name is quoted by Shanice in the second half of the song, when she says “Blow, Branford, Blow”. Marcin’s heartfelt rendition let the melody shine in its best light. 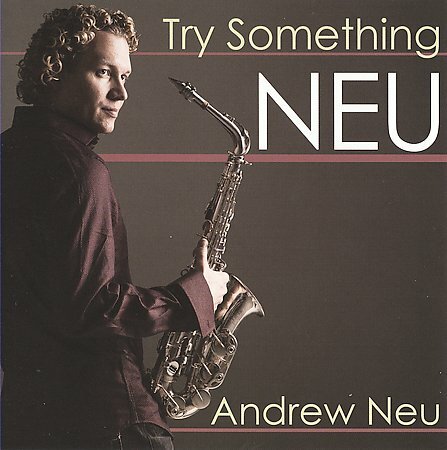 By blending a unique mix of jazz, R&B, classical and Latin music, saxophonist Andrew Neu delivers a fresh sound to the contemporary music scene. Whether he’s in concert as a solo artist or a sideman, Andrew’s musicianship and engaging stage presence continue to get the attention of audiences and critics alike. Currently touring the country with Bobby Caldwell, Andrew has shared the stage with Sir Elton John, Patti Labelle, Mellissa Manchester, Mel Torme, The Four Tops, and The Temptations as well as jazz artists Rick Braun, Richard Elliot, Mindi Abair, Euge Groove, Kim Waters, Steve Oliver, Warren Hill, Nick Colionne and Brian Simpson. 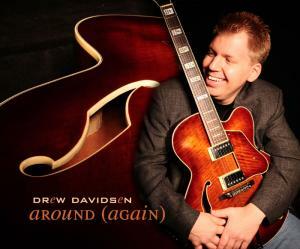 Fueled by the international success of two independent CDs, Andrew makes his debut on NuGroove Records with Try Something Neu produced by Brian Bromberg, Chuck Loeb and Gerald Veasley. It also features Bobby Caldwell, Brian Culbertson and Dan Siegel. For more information go to Amazon.com, where reviews are already published by avid fans. 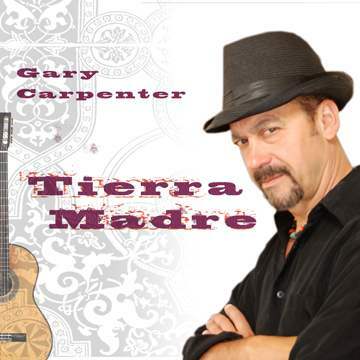 Gary Carpenter gives the term World Music a new sense. He melts the best ingredients of all continents to that magical brew which fascinates the audience. After his move to the Bay Area he founded the formation Montage, he also worked with the group Compass and with Blue Note recording artist, Samba Ngo and with MC Rai. He started his solo career with the high-acclaimed debut album Sirena (2007). His new project is entitled Tierra Madre (2009). Gary Carpenter, who also produced, arranged and composed the album, plays Spanish acoustic guitar, electric guitar, keyboards and keyboard bass. He is accompanied by Renalto Annichiarico (percussion, drums, vocals), Kieth Graves (bass and drums on Windrunner – drums and background vocals on Rumba La Playa), Gary Regina (sax) Alan Peeves (piano solos), and Victor Reveer (stand-up bass). Bass driven the album starts with The Seer showcasing Gary Carpenter’s skills in Flamenco guitar and World music. Renalto Annichiarico peppers the melody with furious conga beats.